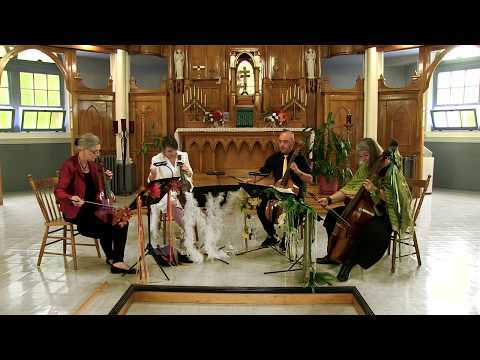 Original arrangements for 4 violas da gamba of Vivaldi’s 4 Seasons by Susie Napper & Margaret Little, mixed in with a tasty recipe of seasonal songs. Each of Vivaldi's seasons is filled with word painting: hear the birds singing, dogs barking and the hurdy-gurdy in Spring, the thunder storms and mosquitos in Summer, the drunken farmers and hunting horns in Autumn and the wind, ice and rain in Winter. Vivaldi includes short poetic descriptions of the seasons throughout the music which may be heard during this performance. Les Voix humaines will also bring other well-known jazz standards, pop tunes and traditional songs (by Henry Purcell, George Gershwin or Joseph Kosma) that are slipped into the concertos for added pleasure. Les Voix humaines, a viola da gamba duo, has thrilled audiences worldwide with dashing performances of early and contemporary music for over three decades. Susie Napper and Margaret Little‘s musical complicity has been compared to the skill of two trapeze artists or the telepathic communion of a pair of jazz saxophonists! A decade ago the duo was joined by Mélisande Corriveau and Felix Deak to form Les Voix humaines Consort of Viols to take a refreshing look at the huge repertoire for multiple viols. The consort has toured in Canada, Mexico, Europe, Scandinavia and the Baltic States and now bring Nova Scotia audiences a fresh look at Vivaldi’s Quattro Stagioni for equal viols - 4 Seasons, 4 viols. Save a seat to hear Les Voix humaines as they present The 4 Seasons in Arcadia, as you've never heard it before! Musique Royale’s Summer Festival brings the music to you, since 1985, touring musicians all around beautiful Nova Scotia. Whatever your appetite for music is, Musique Royale has something for everyone!